In order to learn, kids need to move! 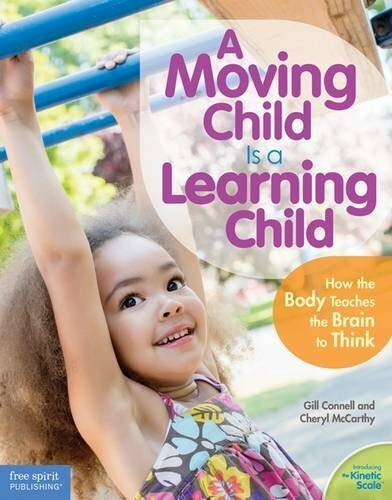 Grounded in best practices and current research, this hands-on resource connects the dots that link brain activity, movement, and early learning. The expert authors unveil the Kinetic Scale a visual map of the active learning needs of infants, toddlers, preschoolers, and primary graders that fits each child's individual timetable. Teachers, parents, and caregivers will find a wealth of information, actionable tips, and games they can use to support children's healthy development--all presented in a lively, full-color format with demonstrative diagrams and photos. A final section offers easy-to-implement activities geared to the Kinetic Scale. Downloadable digital content includes printable charts, games, and activities from the book plus a PowerPoint presentation for professional development, parent handouts, and bonus activities. An ideal tool for coaches, mentors, and trainers. •	unique framework encompassing all the elements of movement: reflexes, sensory tools (sight, hearing, smell, taste, touch, balance, and intuition), motor tools (power, coordination, and control), and language. •	based on six stages of movement development from birth to age 7: snugglers, squigglers, stompers, scampers, scooters, and skedaddlers.